Service Costs > How Much Does Deleading a House Cost? How Much Does Deleading a House Cost? 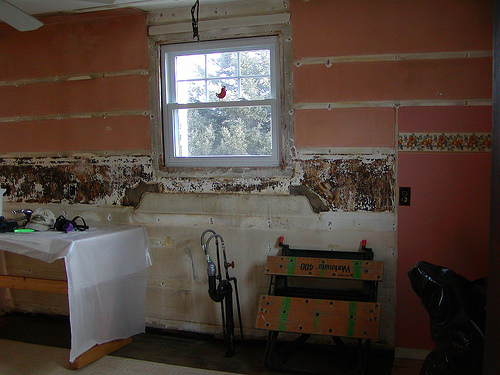 De-leading a house is a procedure performed to remove lead-based paint in a house. Although you may not be aware of any lead in your home, older houses, if built before 1978, most likely have lead-based paint underneath fresher coats of paint. The cost of de-leading a home will depend on the size of the house, the method being used, the company performing the procedure and the complexity of the project. Before lead is even removed inside a home, it will first have to be confirmed. On average, a simple DIY testing kit can cost anywhere from $20 to $65 per kit. These kits will simply need a paint chip and it will be sent off a laboratory for analysis. On average, plan on spending anywhere from $8 to $17 per square foot to delead a home. A cheaper option — encapsulation — can be much cheaper at about $0.50 to $0.75 per square foot but won’t be as effective as removing the lead down to the surface since a liquid coat will be used to trap the lead. According to the EPA, licensed lead-based paint removal can cost about $8 to $15 per square foot or close to $10,000 to $30,000 for a 1,000 to 2,000 square foot home. According to the website MABuyerBroker.com, the price for de-leading a house can cost anywhere from $15,000 to $25,000 depending on how big the property is. For example, a homeowner in Vermont had a three-story home that cost $13,000 to de-lead the entire home. LeadInspection.com states that de-leading a home can cost anywhere between $2,500 and $15,000, depending on the size of the property. According to Redfin.com, a site that specializes in real estate, a visitor had asked what it would cost in order to de-lead a home that was more than 2,000 square feet. Based on the answers given there, the cost of de-leading the home would be anywhere from $25,000 to as much as $35,000. Lead paint will often be removed by what’s known as encapsulation. During this process, a specially-made paint coating will be painted on the lead surface. This paint will then create a watertight bond that’s able to seal the lead paint, but as House Logic states, this coating can wear off over time, especially near doors and windows. Another method, known as enclosing, will involve covering the older surface with a new drywall or windowsills. As long as these items aren’t removed, the lead won’t be exposed. Lastly, the most expensive method will be removing everything. This labor-intensive process, most of the time, will involve using an electrical sander equipped with an HEPA-filtered vacuum. With this sander, the paint will be stripped. Another method contractors use is with a heat gun, which involves a heat gun and hand scraper to remove the paint. Since lead can’t be detected by the naked eye, an official inspector may be required to confirm the lead inside the home. If this were the case, most inspectors can charge anywhere from $300 to $550, depending on where you live. Additional cost will involve repainting the house after the de-leading has been completed. Repairs may be required as well if any damage has been done. Lead paint can commonly soak into outside siding as well as trim and floorboards. If tests show that lead is present in these parts of the home, all will have to be replaced. Fixr.com says close to 75 percent of homes in the United States have some sort of lead paint remaining within the exterior. Even if your home has lead paint, as long as no one under six years old lives or visits there and there’s no sign of damage and/or chipping, you may safely leave the lead paint intact. However, when it comes time to sell the home, you will have to disclose that lead paint is inside the home. Government agencies provide loans and/or tax credits for people who would like to delead their house. This will allow you to pay installments for the procedure rather than having to pay for the whole thing up front. As mentioned above, check with these programs as many are more than willing to offer assistance. For example, in Massachusetts, homeowners who receive a “Letter of Full Compliance” will be eligible for a state tax credit equal to the deleading expense. While it’s not considered a permanent fix, encapsulation tends to be the cheapest method, often costing less than $0.75 per square foot. The only downside, however, is that it can damage or wear away over time, bringing the problem back again.